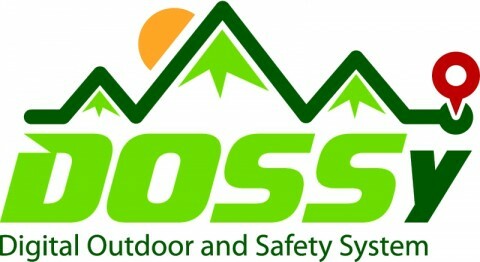 DOSSy (Digital Outdoor and Safety System) project for elderly is announced Hill walking and skiing are activities that can be enjoyed well into old age but often fear of falling or becoming disorientated persuades the elderly to give up outdoor pursuits. To overcome this issue a new European collaborative project DOSSy (Digital Outdoor and Safety System) is being launched which aims to develop an app for a mobile phone that includes navigation, location and safety features. DOSSy is coordinated by the University of St. Gallen in Switzerland and includes Augmentra, developers of ViewRanger the leading outdoor activities GPS app, Curena, operators of an emergency call and service centre, Bergverlag Rother, one of the leading European publishers of guidebooks that cover all kind of alpine sports, the German Red Cross Herten, the Swiss Alpine Club, and the University of Applied Sciences St. Gallen. It is part of the Ambient Assisted Living Joint Programme (AALJP), a European Commission activity aimed at enhancing the quality of life of older people and stimulating commerce. The consortium aims to deliver an app that will enhance both the enjoyment and safety of outdoor activities. It will include hiking guides with high quality route information and intelligent navigation aids so that a user can select a walk that is suitable for their level of mobility and follow it confidently with the benefit of GPS. To enhance safety the app will also include a tracking system, which can be used by others, such as relatives or emergency services to locate the user. Notifications will be triggered manually or using a built-in tracking tool, which activates on reaching pre-defined GPS control points along the tour. The app will also be connected to an emergency call and service centre, which is notified in critical situations and can send out rescue teams using the location information provided. One of the challenges of walking in the mountains is a rapid deterioration in the weather. The app will also constantly check conditions and alert the walker and the emergency call centre. The strong consortium brings together all the expertise required to develop the app. ViewRanger is already used by outdoor enthusiasts worldwide and by international Search and Rescue teams for navigation and location, and will be the software platform that DOSSy is built upon. Curena is an emergency call and service centre mainly aimed at the needs of elderly people. Bergverlag Rother produces high quality hiking guides that offer detailed information about recommended routes. 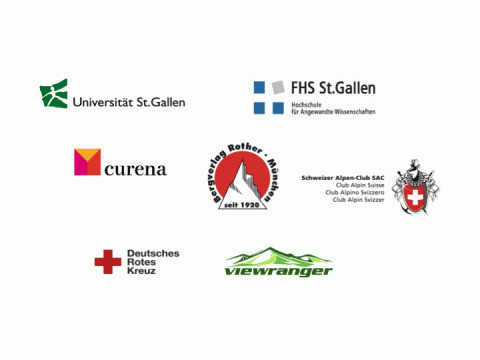 The Swiss Alpine Club and German Red Cross Herten have unrivalled experience of mountain rescues and the requirements of the emergency services. DOSSy is a 24-month project with a budget of 1.6M Euro; there is European funding of 734.000 Euro and each of the consortium members are funded by the relevant national funding body.